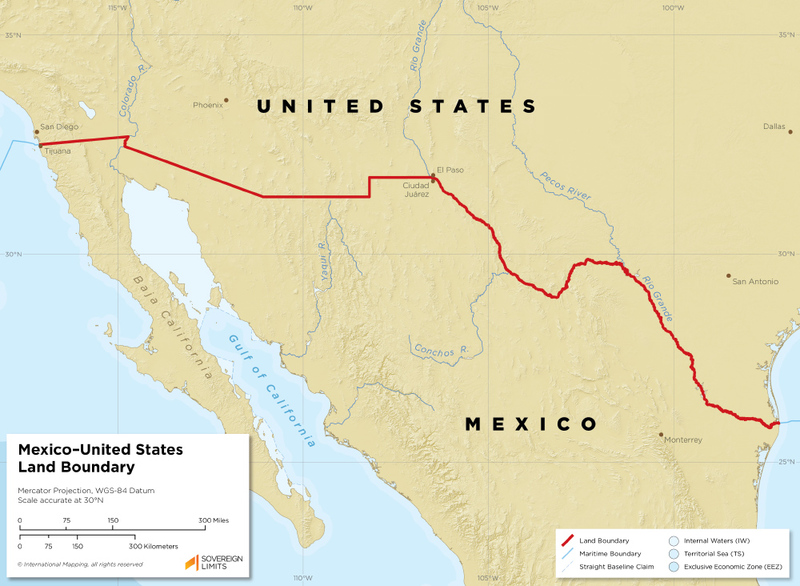 The international land boundary between Mexico and the United States was first established in 1848 and has been revised multiple times to the present. The International Boundary and Water Commission (IBWC) maintains bilateral border works and issues water rights policy. 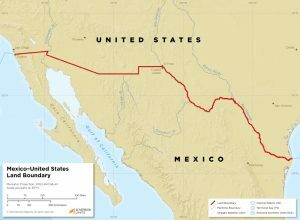 The boundary is more than three thousand kilometers in length from the Gulf of Mexico to the Pacific Ocean, much of it following the meandering center of the Rio Grande. Mexico & the US have not one, but two maritime boundaries with each other.